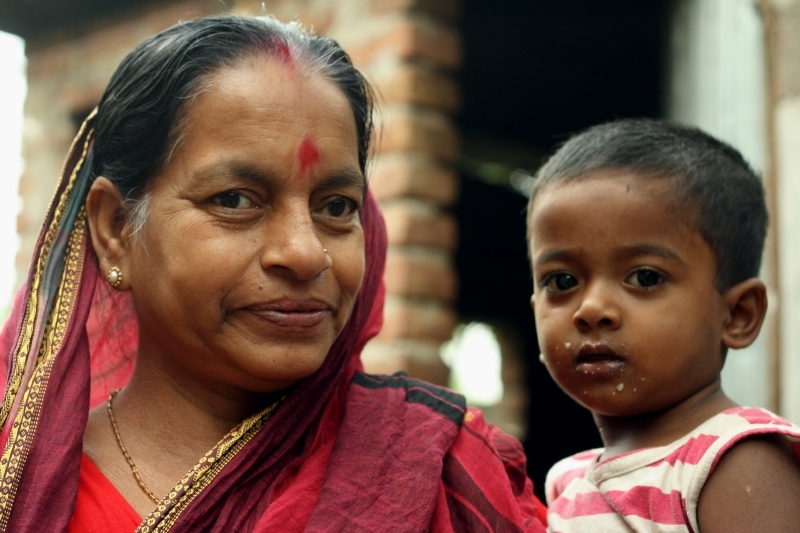 GRANDMOTHER AND GRANDSON in Kushtia town. 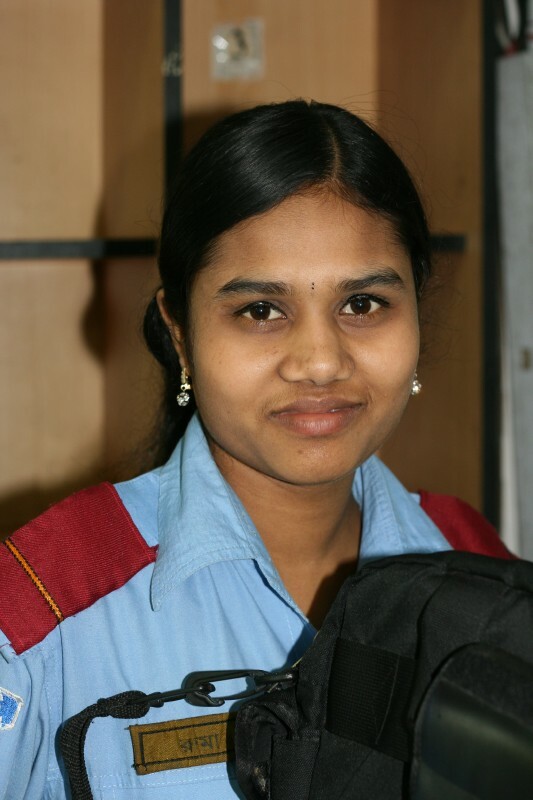 SECURITY GUARD THAT usually takes my bag when I’m shopping at a local supermarket. 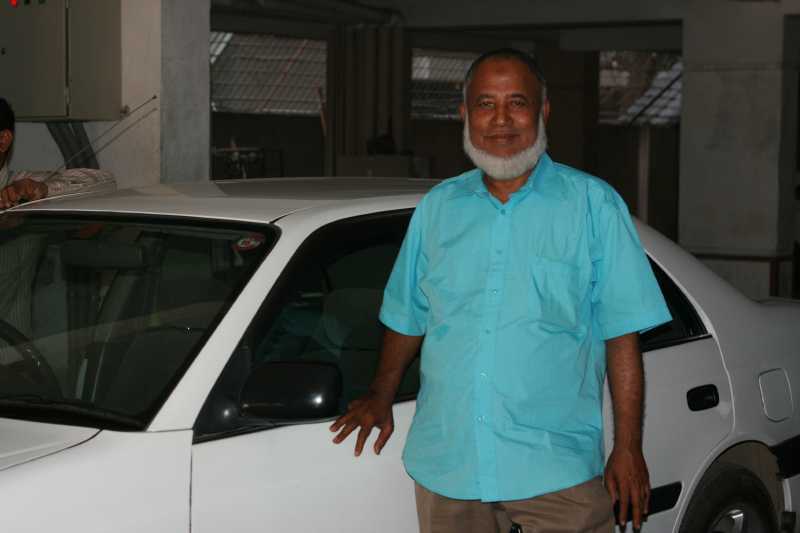 A DRIVER FROM OUR apartment building proudly standing in front of the car he drives. JHAL MURI AND POPCORN WALLAS in front of a school hoping hungry students would buy their product on their way home. 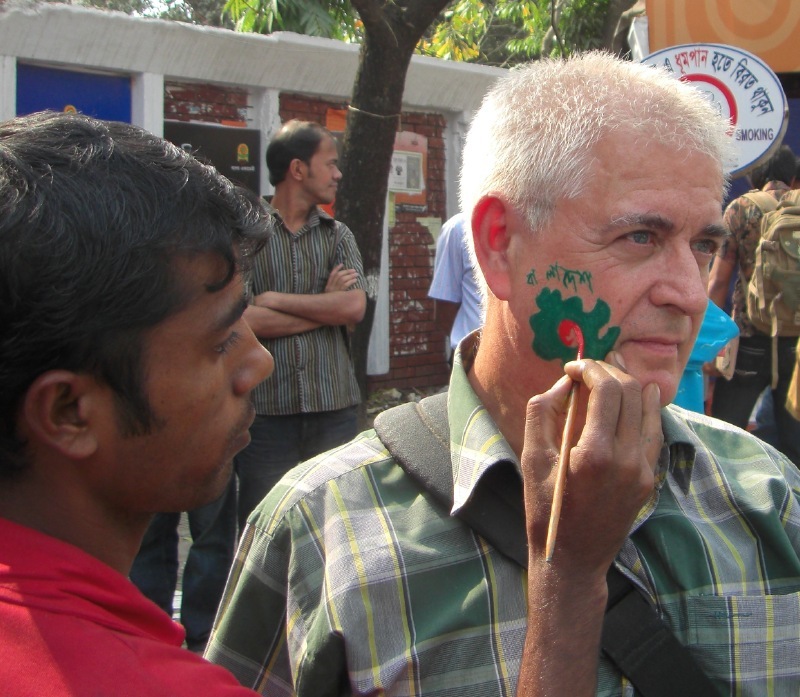 INDEPENDENCE DAY in Bangladesh! This photo was actually taken by a Bengali journalist who is working in Japan and was visiting the Boi Mela on Ekushi Day. FERRIES WAITING TO take people across the river. 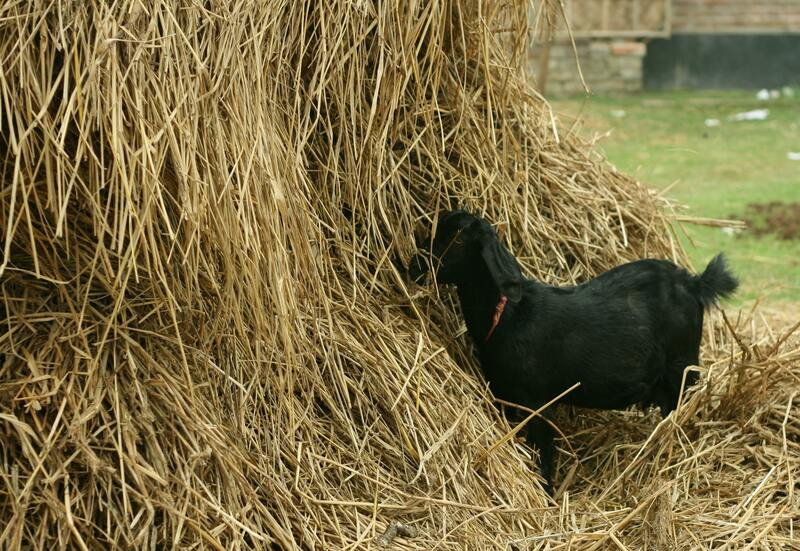 GOAT LOOKING for a snack in Khustia town. LADY IN KUMARKHALI shielding herself from the hot sun! 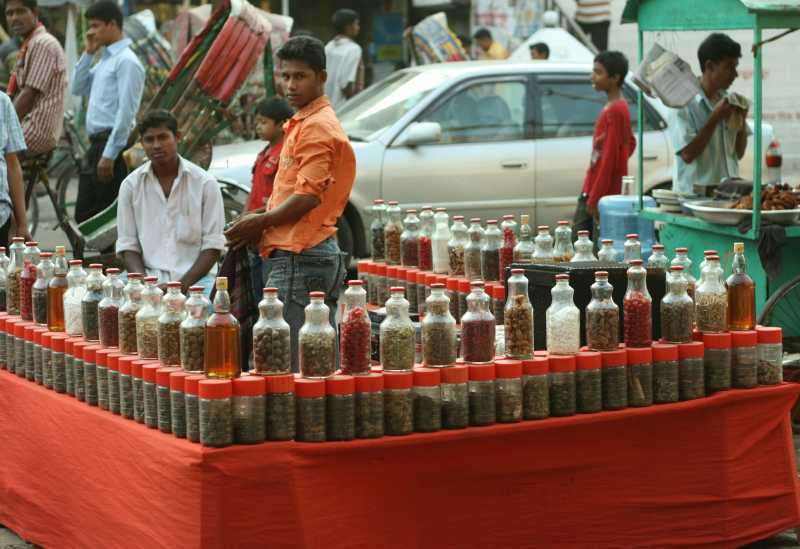 HERBAL MEDICINE available at street-side stand in Town Hall Bazaar, Mohammadpur, Dhaka. 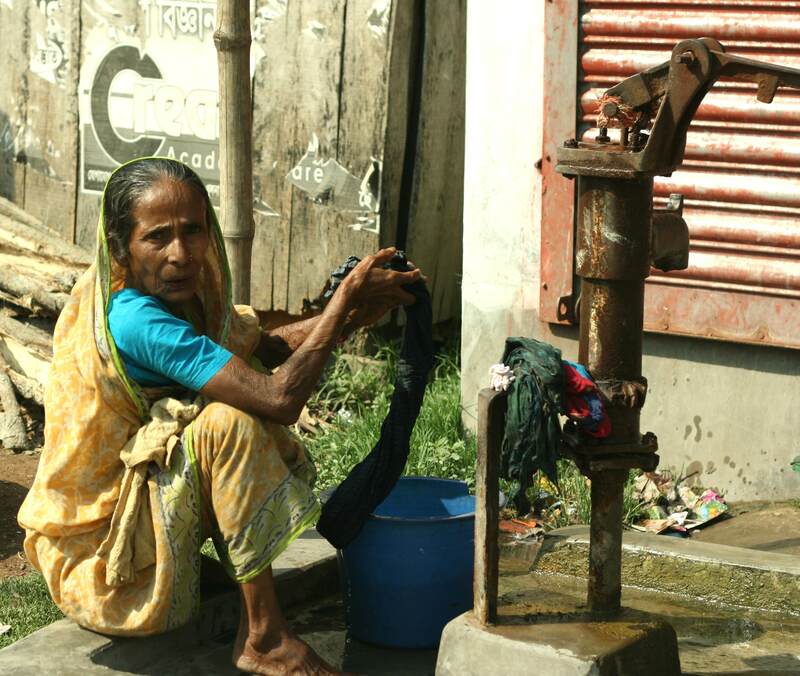 BENGALI LADY doing her daily laundry at the tube well with hand pump. 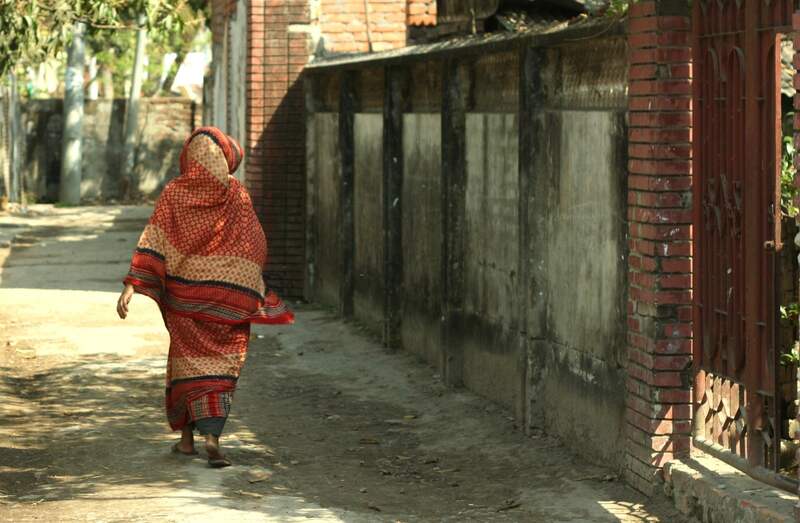 SARI-CLAD LADY WALKING ON A STREET OF Khulna, Bangladesh. YOUNG GIRL WAITING for the bus to Kumarkhali.